Denver weather can change in an instant, which can make planning sessions a bit tricky. 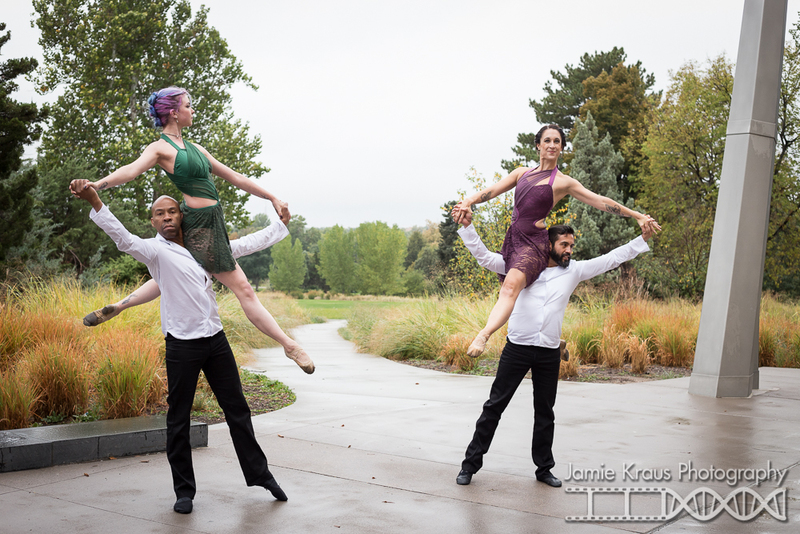 But I love Denver dance photography in all kinds of weather. 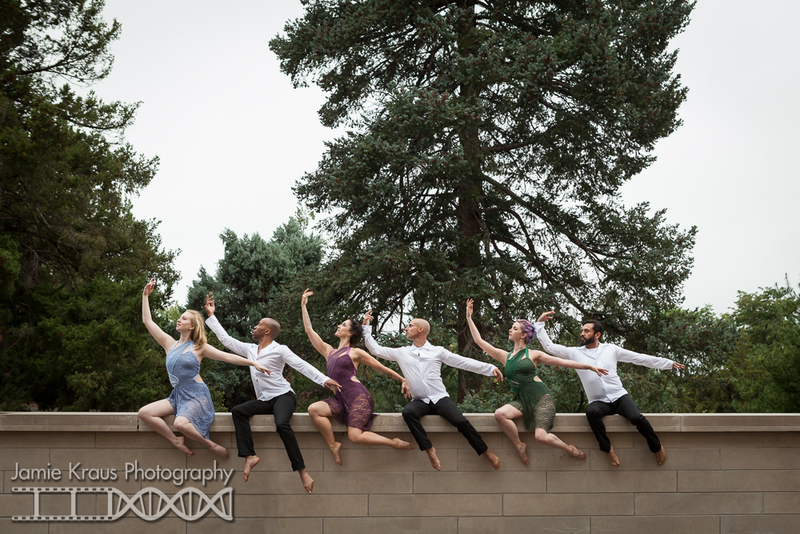 I had a creative session with Park Hill Dance Collective planned for a Sunday in the Fall at City Park. A half hour before the session, Karlyn called me because it was pouring out. She knew her company dancers would be fine with dancing in the rain but we had also scheduled headshots for her youth company at the same session and she didn’t want the kids to get soaking wet and catch colds. We almost moved this session to a dryer location at the last minute but I am so glad we didn’t. We missed all the downpours and just had a light mist the whole time. Plus there were plenty of overhangs to duck under and places to run in to stay warm. This rainy, foggy day proved to be quite beautiful for our creative session with Park Hill Dance Collective. We did the last Collective shoot a few years ago, and they needed some updated portraits and photos from their new pieces. City Park is an awesome location to do a session of any kind. For Park Hill, it was perfect since it’s just a few blocks away from their studio. Karlyn and the company have always been very connected to their neighborhood, so I’m so glad we were able to incorporate that into our session this time. City Park has some great natural areas, but being the city kid that I am, I always gravitate toward the architectural features. We started out behind the Denver Museum of Nature and Science, where there is a super cool sculpture (I’m a sucker for public art!) and some fun windows. The male dancers could only stay for the first part of the session, so the ladies and I had some fun at the end. We went down to the lake, where there is this lovely little retaining wall and a great view of the fountain and boathouse. I thought we might get some epic skyline views too, but by the time we got there the fog was so thick, you couldn’t see the buildings anymore! I think we got some pretty epic photos none-the-less. I had to include this blooper, just for fun! Lovely photos! The solo dancer in green is sublime.